Home networks today consist of a variety of different networks/technologies, wired and wireless, which often are unable to communicate with each other. 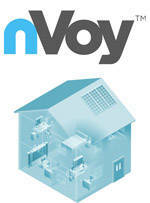 nVoy hybrid home networking is based on the IEEE-1905.1 hybrid networking standard, and supports enhanced connectivity between HomePlug, Wi-Fi, MoCA (Multimedia over Coax Alliance) and Ethernet networking technologies. 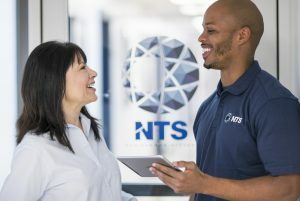 As the first lab selected to perform nVoy certification testing, NTS will perform compliance and interoperability testing of third-party products to verify that they comply with the nVoy standard. Based on a test specification created by a collaborative working group consisting of members of HomePlug Alliance, Multimedia over Coax Alliance (MoCA), and Wi-Fi Alliance, testing will cover areas including bridge discovery, frame headers, message containers, message handling, topology discovery, security, configuration and link metrics. 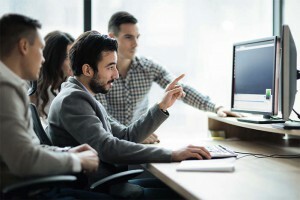 All nVoy certification will require prior testing and validation go their underlying technologies (e.g., MoCA, Wi-Fi, HomePlug, etc.). Contact us today to find out how to get your product tested and certified.